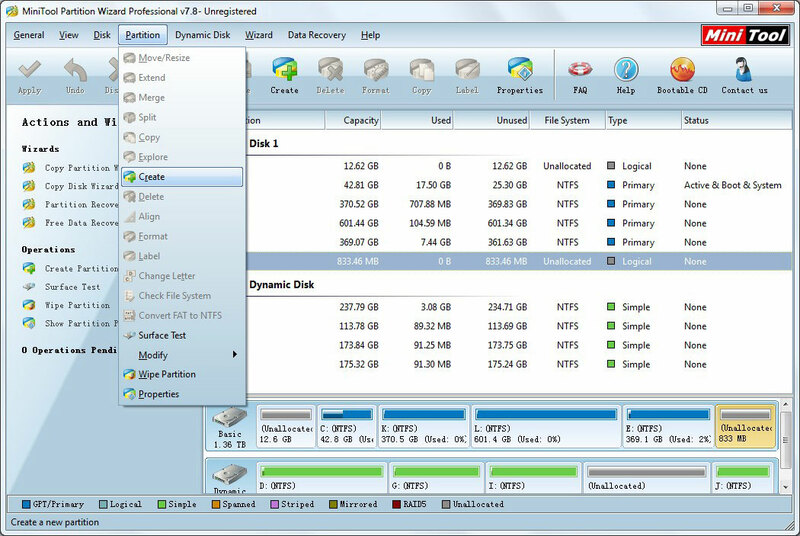 The best free partition magic for 64/32-bit Windows 7/Vista/XP - Partition Software Professional Edition. Partition Software Professional is a powerful partition magic program for Windows non-server system users to manage all sorts of hard drives with its excellent hard drive management functions. With this partition magic software, user can create partition, extend system partition, split partition, format partition, merge partitions, resize partition, wipe partition, copy partition, convert dynamic disk to basic disk, change cluster size and recover partition, etc.